Sun City Carolina Lakes Pickleball continues to promote the sport by conducting clinics for old and young alike. 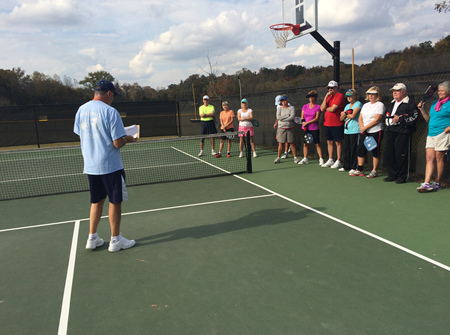 Frank Kinder, local pickleball coordinator, recently conducted a two-day skills clinic. Other clinics have featured Coach Moe and Deb Harris. The Sun City program continues to grow with new courts scheduled in the near future.